Monday —​ the biggest sales of the year in the U.S. —​ Canadians looking to save by shopping online could face some hidden costs. Purchasing from stores outside Canada mean shoppers get hit by duties, taxes and other fees that quickly add up. – A Quebec resident who spends $100 on baby clothes will pay $35.11 in duties and tax. – A British Columbia resident who buys a tricycle worth $100 will pay another $32.16 in duties and tax. – A Nova Scotia resident who buys $100 in bedroom furnishings will pay 35.70 in duties and tax. 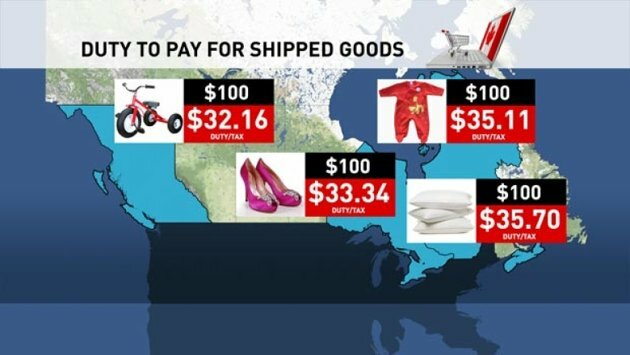 On top of that, Canadians can pay courier and customs brokers fees that companies charge for delivery as well as processing and collecting those duties and taxes. And since the items being ordered are priced in U.S. dollars, the exchange rate conversion to Canadian funds will add roughly 15 per cent. It can all make for a surprisingly large final bill. ​How much duty do you pay? That depend on the product and where it was made. Duty can cost anywhere from nothing to, in some cases, upwards of 100 per cent of the cost of the item. Most komatsu construction equipments uses a safety relay switch or IMS. Its function is to keep the operator from engaging the starter if the engine is running. It gets its signal from the alternator. If the engine is running and the alternator is charging, the starter motor is not allowed to engage. 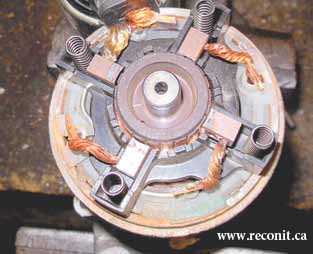 The starting issue appears to be a result of a safety circuit that prevents the starter from being engaged when the motor is running. This is to prevent starter motor and flywheel damage in the event driver tries to start the motor while it is already running. There is a diode in the alternator that prevents the starter relay from energizing when the alternator is making charge, i.e. motor is running. When the diode goes bad, the starter relay is deactivated and the battery relay is kept from energized. However Komatsu changed the circuit in the newer machines and instead has a diode under the seat that provides start circuit protection in many of the smaller machines. Look at you alternator to see how many wires there are. The older machines will have three wires, the big battery terminal, a small black wire for ground and another wire for that works the safety relay on the starter. If you have only the battery and ground wires you will have to look for the diode. Last machine I worked on was a couple of years ago so I don’t remember exactly where it was but I do recall having to pull the seat to find it. The issue with the battery relay not dropping out is probably something different. Have you installed another electrical component? Radios and heaters can be a big problem. Have you recently had a component failure like a wiring harness or maybe a fire? The reason I ask is that your relay works on the ground side of the circuit. When you turn the key on it only provides a ground that lets current flow through the coil. A short circuit in any component or the wiring harness will keep the battery relay engaged. You might try pulling fuses and keeping track of what they supply. When the relay drops you might have found your problem. A local customer of ours who mainly buys starters referred a friend of his to us to see if we can help to get him going. He had tried to fix his own Kubota Lawn starter to no avail but he had already installed new OE solenoid, armature,and drive assembly on the unit! None of his repair worked and the starter only clicked but nothing else. We wanted to ask him how he could justify spending all of that money with no results, but did not comment. It is better that way! We think the customer or a DIY perception is since this is a simple direct drive starter, then repairing it with a new drive, armature and solenoid should be a no-brainer…but of course this did not happen to be the case. After removing the CE cap off the starter we at Reconit Electric Rebuilders, noticed he had lost the main insulator that covers the brushes, and had the brush springs in a vertical position rather than horizontal! No wonder that the starter did not work after his repair. (Figure-1). important point is the inherent insistence for some people to tamper with thing that they don’t know much about, which will result in much higher prices, and unnecessary delays that could have been easily prevented if they allowed a specialist to work on the unit to begin with. I personally refrain from doing things like pluming, roof repair, or carpentry around the house and always defer to a professional. 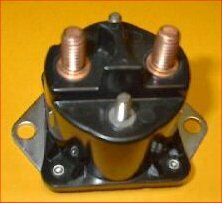 Why replace a Marine solenoid with automotive? burn quickly when gas fumes ignite inside them and explode. the neutral safety switch on the B+ side. power relay ON so the electronic control modules power up. 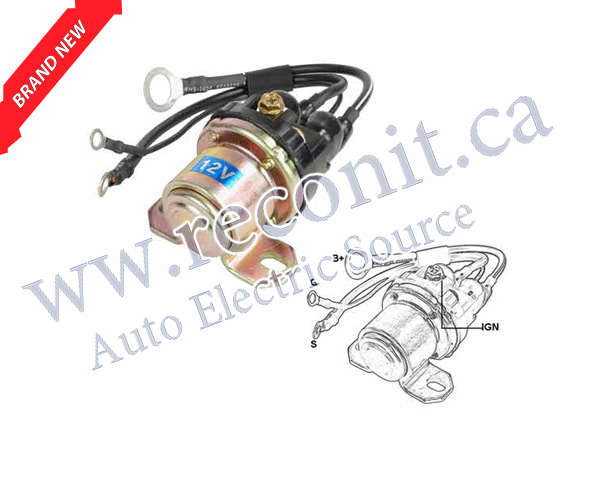 It is always cost effective and reliable to test the old alternator or starter motor before purchasing a new one. Visit a auto rebuilder for advice. We specialize in Farm Tractor Starter, Alternator, Generator and Battery chargers. 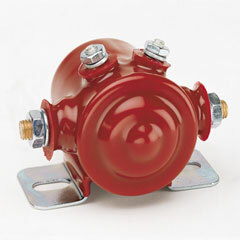 We also carry auto parts such as Regulators, Pulley, Alternator plugs, PTO and rewind armature coils. Shakespeare, Baden, New Hamburg, Alma, Wallenstein and surrounding areas. Shipments to your door step. Visa, MC, Debit accepted. 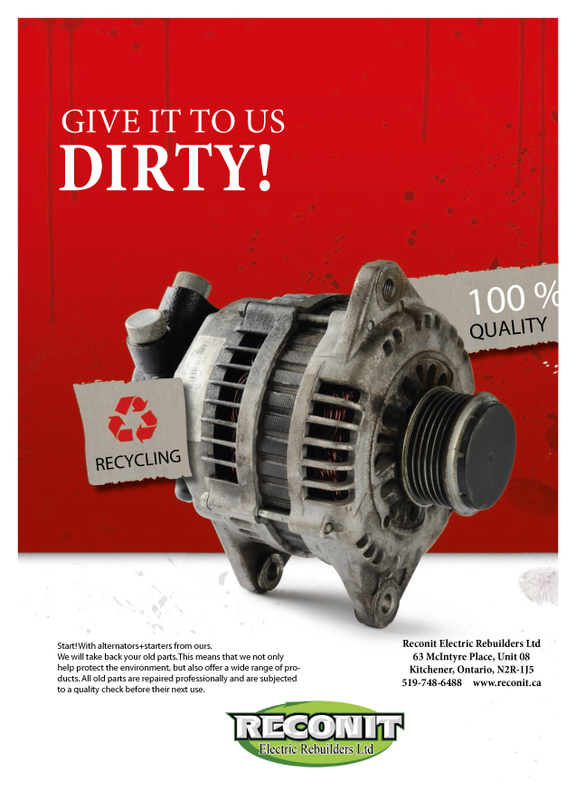 recycling the starter or alternator benefits the environment.